80-Ball Bingo isn’t as well-known as the other variants, but nevertheless, it has acquired its own loyal group of followers. Anyone who assumed that this game is simply played with fewer balls would be very much mistaken. It is, perhaps, closest to the 75-ball version in terms of playing style, but it is very different in appearance. This particular variation tends to attract players who are seeking something a little out of the ordinary. The card itself has a colourful yet simplistic design, which is pretty eye-catching. Moreover, there are lots of winning combinations in the patterns that can be formed, and in some sessions, this can increase the chances of bagging a win. In the online games, the tickets are allocated by the random number generator, but it’s possible to change the selection if it doesn’t appeal. The cards hold a total of 16 numbers, and these are placed on a 4×4 grid. These are usually sold in strips of 5, and so every number from 1-80 will appear once. Each of the rows is a different colour, and it contains a particular set of the numbers. The red column is reserved for 1-20, the yellow column is for 21-40, the blue column is for 41-59, and the white one is for 60-80. The layout of the card means that there are a multitude of ways to win. The winning lines can either be horizontal, vertical, or diagonal. The structure of each game differs, and so prizes can be awarded for completing lines or columns, for forming various combinations, or for a full house. Several sessions have additional rewards if there are one or two numbers left on the card. This is marked as 1TG (one to go) or 2TG (two to go). In essence, there are 4 different game types. The first pays out for any single line, the second is for any line and a full house, and the third is for any line, columns and a full house. The final version is won with either a full house or by forming one of the designated patterns. These can be all kinds of formats. In ‘Four Corners’, the outside numbers have to be covered, in ‘The Square’, the central numbers must be called, and in the ‘Full Monty’, it’s the top and the bottom lines that provide the win. The names for these types of formations may change, depending on both the websites and the games. 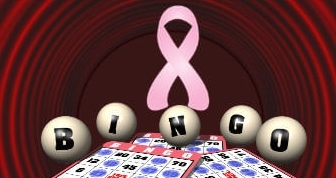 Although the games that use 80 balls aren’t as readily found as some of the other kinds of bingo, there are a few providers that list them. On the Cozy network, this version is known as ‘Down Town’, and it has a progressive jackpot as well as the regular payout. The Gamesys Group also list this variant, and although the names of the sessions tend to differ between the venues, the basic premise remains the same. At Fabulous Bingo, it has been named ‘Rome’, and the prize fund can be won by completing one or more of the columns or on a full house. A smaller prize is awarded for cards with 1TG at the end of the round. The 80-ball variation is provided on the Virtue Fusion network too, but the names and the structures differ between the websites. For example, at Mecca Bingo, this is called ‘Cashline’, and there are four winning possibilities – 1, 2 or 3 columns, and on the full house. There is also a progressive jackpot, which is known as ‘the elevator’, and this can be won on 32 calls or fewer. 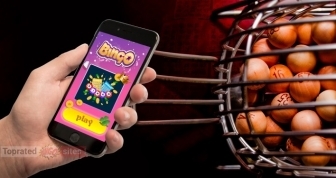 An interesting addition is the inclusion of a mini game option, in which two further prize funds can be won. 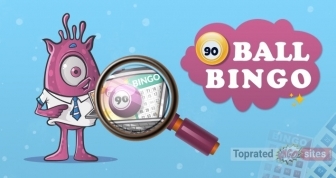 At BGO, the 80-ball version is called ‘Seaside Bingo’ and in this, the progressive prize fund is awarded for 38 calls or fewer. For every ticket that is purchased, 1% of the cost is set aside for this separate fund. This variant also awards a prize if there are only one or two numbers remaining on a card at the end of the round. The winner is announced at Fabulous Bingo! In comparison to the 75-ball bingo, there are only five extra calls, so are any of these significant in terms of the lingo being used? Well, 76 tends to have two different terms associated with it. The first is linked to the old price of a marriage licence, and the second is ‘trombones’, which is a reference to the film, Movie Man. 77 is ‘sunset strip’, after the TV detective series. 78 is ‘heaven’s gate’, which is a kind of portmanteau of the calls used for 7 and 8. 79 uses rhyme to make it ‘one more time’. Finally, 80 has several different calls. It is sometimes ‘Ghandi’s Breakfast’ or ‘Eight and Blank’. Alternatively, it could be ‘Blind 80’ or ‘There you go, Matey’, which again uses rhyme for effect. The 80-ball version of bingo can easily be missed on the sites as it tends to be tucked away in the specials section, but it is definitely worthy of a second look. These games are far more than just a few extra numbers. The ticket has a unique format, which means that there are some innovative winning opportunities. Additionally, many of the sessions have progressive jackpots attached to them, and that’s another big plus. Ultimately though, this variant feels very different, and this makes it perfect for those who are looking for something new.